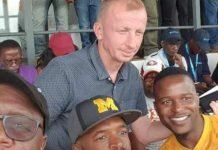 ZAMBIA’S recognition as a powerhouse in African football was on Saturday affirmed by the Confederation of African Football’s decision to give the country the rights to host the 2017 Africa Youth Championship. The Africa Youth Championship (under 20) is CAF’s second most prestigious tournament after the Africa Cup of Nations. 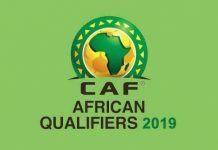 The decision to give Zambia the green light to host the continental showpiece was made during the organisation’s executive committee meeting in Cairo on Saturday. Football Association of Zambia (FAZ) president Kalusha Bwalya, a member of the CAF executive committee, thanked Government for backing the bid. “Dear colleagues, I would like to inform you that Zambia has been awarded the right to host the U-20 Africa Championship in 2017. This was confirmed in the afternoon at our executive meeting here in Cairo! 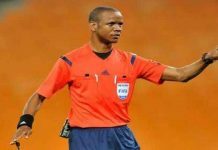 I am really delighted for our football,” Kalusha said in a statement issued yesterday. “Let me also thank the government through the Minister of Sport Honourable Chishimba Kambwili for backing the Football Association of Zambia all the way in this bid. Kalusha is a CAF executive committee member. 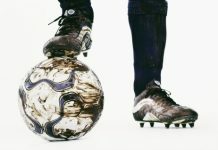 The awarding of the right to host the Under-20 Championship is another milestone for the Kalusha-led adminsitration which has recorded many unprecedented developments for Zambian football, among them, an Africa Cup victory in 2012, Nelson Mandela Challenge success last year and the COSAFA Cup triumph this year. 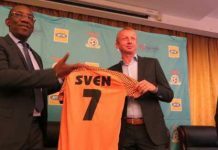 The Kalusha-led FAZ has also embarked on the commercialisation of the league as well as many administrative, technical and development programmes. 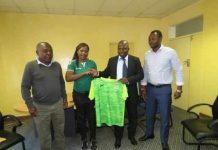 In the past, Zambia has hosted the COSAFA Women Championship, Supreme Council for Sports in Afrioca Zone Six Games and the COSAFA Castle Senior Challenge Cup among others. Attempts to host the 1988 Africa Cup of Nations failed due to lack of infrastructure and CAF awarded the hosting rights to Morocco. Zambia has world class infrastructure such as the 40,100 Levy Mwanawasa Stadium in Ndola and 50,000 capacity Heroes National Stadium in Lusaka. Plans are in the pipeline to construct stadiums in Livingstone and Mongu. Zambia has also put in a bid for the 2019 Africa Cup of Nations. This is to make or chance a taking the air brother. for me to pay a quick visit this site, it contains useful Information. sum you’re absolutely making on to your money.